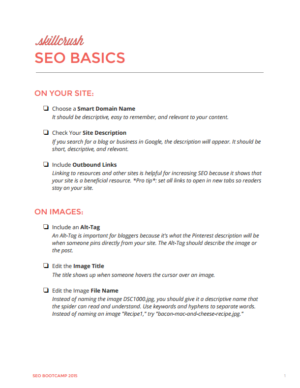 Get your free, 2-page SEO checklist you can use on every site you build and blog post you publish. Have you ever heard this question from a client? If you haven’t yet, you will soon. Clients know that search engine optimization (SEO) is important, whether they’re sure about how it works or not. They know that they need traffic on their sites for all your hard work designing and coding to be worthwhile. And YOU need SEO chops too. Upping your search rankings can mean the difference between barely staying afloat as a freelancer and taking your pick of projects. But let’s face it. Clients aren’t the only ones who might find SEO a little…mysterious. And just like in other aspects of tech, the only way to really learn a skill is to do it. You make New Year’s resolutions for your personal life, so why not make them for your professional life as well? Start driving traffic to your blog or business (and learn how to give your clients what they need!) by making 12 resolutions for improving Search Engine Optimization (SEO). 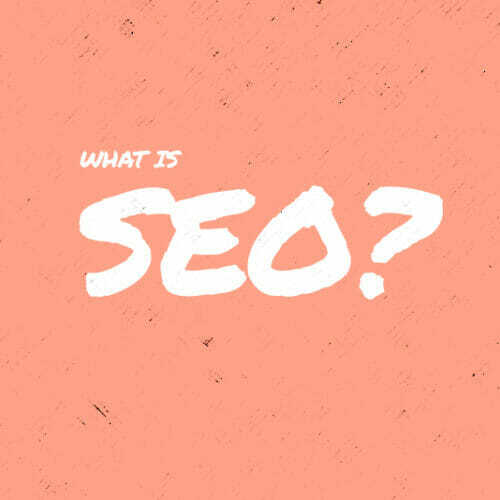 SEO seems confusing, but once you get a hang of it, you’ll see that it isn’t so difficult–and it will drive traffic. Search Engine Spiders crawl the web to understand websites and prioritize how they show up in search. SEO is a huge topic–there are courses on it, books about it, and a plethora of research–but I’m going to start you off with a few simple but important tips that you can start implementing right away. According to a statistic from InsideView, B2B marketers who use blogs generate 67% more leads than those that do not. If you already have a corporate or personal blog, it is time to start writing consistently because Traffic Generation Cafe found that once you write between 21 and 54 blog posts, blog traffic generation increases by up to 30%. If bloggers, companies, and websites link to your site, it is good for your SEO. It indicates that you are producing quality content that other people want to read. According to Pro Blogger, it is especially beneficial if the inbound links are from high ranked sites, are relevant to topics that you’ve written about, and use relevant keywords in the link. There are a lot of ways to increase offsite SEO, but my biggest advice is to produce quality content, form relationships with other companies, and contribute to online publications. As the name indicates, these are techniques implemented on your site. They include: post title, meta links, and keywords. Post Title: If your company has a blog, the posts should have titles that make people want to read them. A best practice for titles is to think about what words you would search for to find the post. Titles should be catchy, intriguing, and descriptive. Include keywords early in the title so that people know what the post will be about. Make it clear what the reader will find when they click the link–you will be rewarded for having people stay on your site instead of leaving right away. Permalink: This is a link to a specific blog post. Unlike the post title, a permalink is optimized for SEO rather than readers so it can be something simple like “seo-basics-for-bloggers.” Put hyphens in between words and use lowercase letters. Include a keyword early in the permalink so that the topic of the post is clear. Keyword Rich Content: Keywords are the terms that people will search for to get to your website. Pro Blogger recommends thinking about how you would want people to find the post in search engines, what people will type into a search engine to find your topic, and the results that come up when you type the keywords into a search engine. There are a lot of details regarding the placement of keywords in a post, but the most general rule of the thumb is to include them a few times throughout the post. Just be careful not to dilute your content–the website has to make sense and the reader’s enjoyment has to be your main priority. Don’t spam your readers with keywords. Interlinking: This is linking to other posts and pages on your blog or website. When you post a link on a post or page, the spider will crawl to it. Perhaps more important, your readers will be more likely to go to your other posts. One tactic that has exponentially increased page views for my clients’ blogs is including “recommended reading” at the end of every post, linking to similar and relevant posts. Linking to resources and other sites is helpful for your readers and for increasing SEO because it shows that your site is a beneficial resource. I recommend having all links open in a different tab so that people stay on your site and continue reading. Your domain name is the name of your website. Choose it wisely. It should be descriptive, easy to remember, and relevant to your content. Your description is a short description of what your business is about. If you search a blog or business in Google, the description will appear. It should be short, descriptive, and relevant. 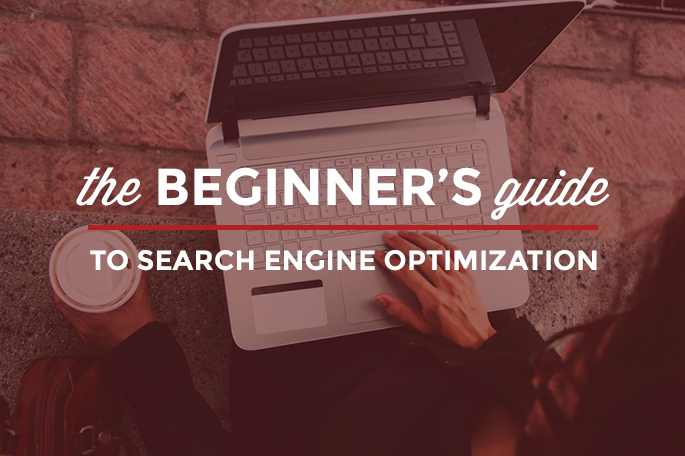 If you optimize your images for SEO, they may come up in image searches. This will also benefit your SEO on Pinterest. Alt-Tag: Google uses the Alt-Tag to understand what the photo and post is about. Alt-Tag is really important for bloggers because it’s what the Pinterest description will be when someone pins directly from your site. The Alt-Tag should describe the image or the post. For example, for a recent article I wrote, I would make the Alt-Tag, “SEO Basics for Bloggers by Likeable Media’s Elana Lyn Gross”. Image Title: An image title shows up when someone puts the cursor over an image. The most important SEO tips don’t involve titles, tags, or keywords. The best way to increase your SEO is to consistently write original content that provides value to your readers. You will have more information that will then come up in search results. Plus, you will create a loyal following of people who come back over and over to read your posts and learn from you. Use these tips to exponentially increase traffic in the coming year! And don’t forget to download the free, 2-page SEO checklist you can use on every site you build and blog post you publish.